Portable Toilet Hire London have successfully provided portable toilets to the Construction Industry for many years. Across London, Essex and the surrounding areas. Whether you're working on a large construction site or a smaller project our construction hire toilets offer the perfect solution for your site. You will require a dependable service providing the amenities you need to cater for your workforce. We provide reliable, hygienic toilets for construction hire. We have built a brilliant relationship with our construction industry clients (large and small). We deliver the construction hire toilets to your site for short or long term hire. We offer an our of hours service and emergency service if required. We ensure the right portable toilet solution is installed for your workers. We ensure the construction hire toilets are maintained to ensure hygiene standards. We also offer Mains Connect toilets for Hot, Warm and Cold running water with our toilets as well as large sinks and consumables. If you have a confined space or a high rise project, why not take a look at our Modular Toilet hire. 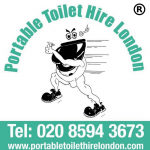 Please contact our dedicated team at Portable Toilet Hire London to discuss the requirements for your construction project and we'll ensure that you have all the information to hand to book your portable toilet hire.